The OSEA Research Seminar is conceptualized an intensive small group workshop conceived on the model of the SAR Seminars. We prioritize emerging and junior scholars who have recently completed extensive field research and are seeking opportunities to develop publications. Not all established, senior scholars much less junior scholars have the opportunity to participate in conferences in Bellagio, at the SAR, or Wenner Gren Symposium. Thus, we have created a space in which new scholars can take advantage of intensive constructive commentary and critique on written work, develop professional networks, present full-length lectures on their research early on in their career. The conference dynamics and interaction is designed as the beginning point of a joint publication project or individual publication of an article based on their presentation. By emerging scholars we refer to persons whose professional academic status ranges from advanced graduate students who have completed substantial fieldwork to junior Ph.D.s up to the publication of their first book. We are especially interested in providing a venue for these persons to accelerate their professional growth through this unique opportunity for critical constructive commentary on their work, engaged and focused dialogue on shared topics of interest, and for the development of expanded professional networks. Priority is given to cultural and sociocultural anthropologists. Those with related disciplinary affiliations or degrees but whose research is based in ethnography, as part of a larger non-ethnographic project, are encouraged to apply. The open focus aims to encourage the widest participation among the emergent generation of scholars. Selection is based on the merits of each proposal and availability of the written paper for publication in an edited volume. Shared themes and issues will emerge organically and will be used to help determine potential publication projects that are derived from the research conference. The Emerging Scholars Research Seminar is conceived as a Bi-Annual event. The topics and issues for future conferences will be announced no later than January of the year in question. 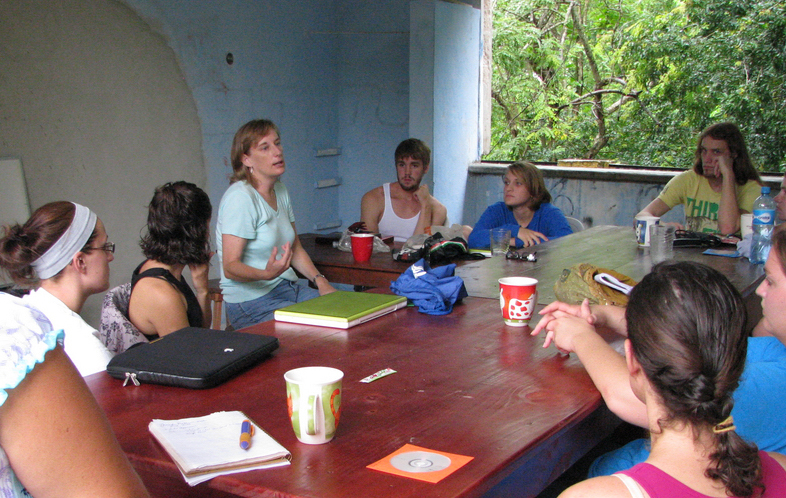 Theme for 2011 was Maya ethnography with a focus on Yucatán. The theme for 2012 is Comparative Approach to Regional Tourism Devleopment: The Case of Yucat&aan and Oaxaca. In the inaugural event in 2011, OSEA used the name Emerging Scholars Research Conference. However, the concept is less a “conference” than a research seminar as organized by the School of Advanced Research or a research workshop as had been organized by the Wenner Gren Foundation. To better reflect this meaning we have changed the name beginning in 2012. Through this Research Seminar OSEA seeks to develop a unique venue for emerging scholars to critically engage with their colleagues in an intensive intellectual exchange and interaction. The Emerging Scholars Research Seminar aims to integrate small group dynamics with focused dialogue on shared research interests and constructive critique of papers with the goal of a joint publication in an appropriate venue, such as a special issue of the Journal of Latin American and Caribbean Anthropology. Submission Deadline. Proposals for papers and requests for screening ethnographic film are accepted through MArch 7, 2012. Assessment of proposals and determination of conference participants are made within two weeks.